Can I convert video to MP4 on Android phone? 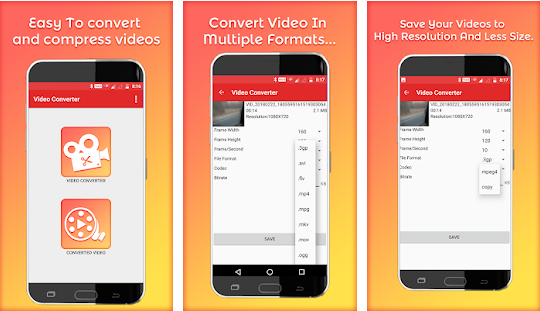 Yes, you can convert videos that are on format to MP4 format provided you have the right Android Video converter. When you visit sites such as Google Play store or uptodown, you will find various Video to MP4 converters that come with different features. 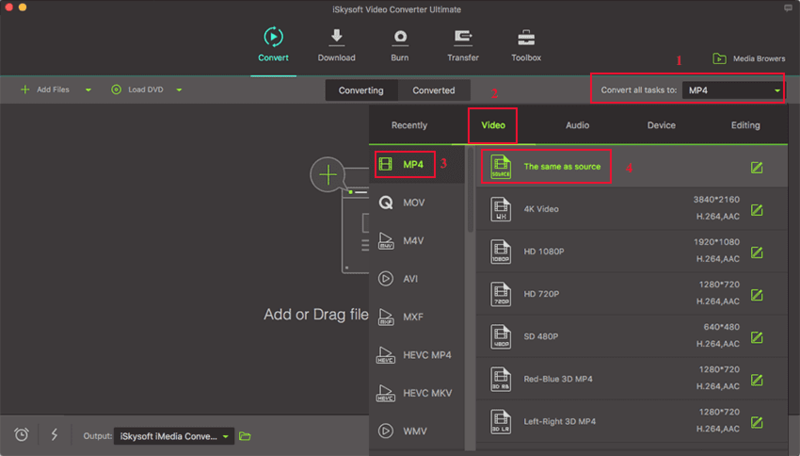 The video to MP4 converters improves your efficiency of converting the videos. 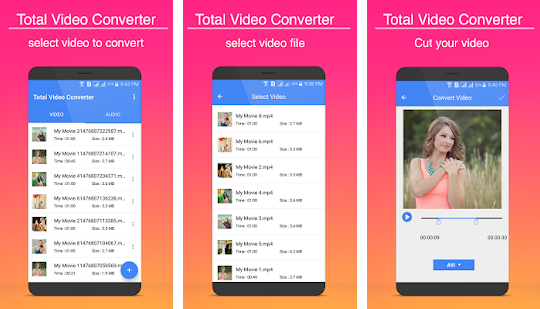 In the next part below, we have listed 10 Android Video Converter to MP4 for Android. One of the apps that you can use is Audio/Video converter available on play store. This application not only supports conversion of videos to MP4 but to other video formats as well as audio formats. •	It is a video compressor. •	Remove audio from videos. •	Organize media files on your phone. •	It does not allow you to convert the file to a desired location. Roman10 also has video to MP4 converter that you can get on the play store. This user-friendly app also supports conversion of audio files and it can reduce file size of videos. •	Extract audios from videos. •	It allows you to modify file bitrate. •	It is slow when converting large files. There is also VidCompact Video Converter that not only allows you to convert videos but also compress and trim videos. Also, it has a great user interface and the buttons are well located. •	It has an in-built media player. •	You can use it to rename and mange videos. •	It only support MP4 output format. 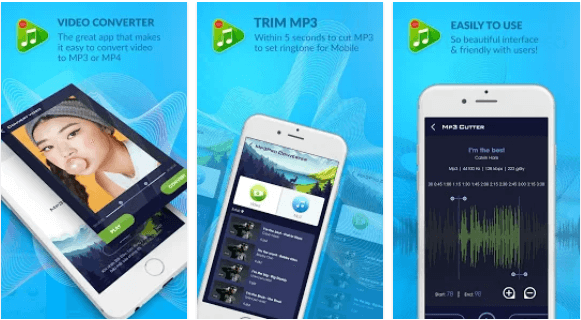 With this app you will be able to convert Video to MP4 as well as MP3 format. Also, it is a reliable video trimmer besides being able to share files. •	It is easy to use. •	It is an MP3 cutter. •	It has lot of pop-up ads. You can also check on Media converter that supports conversion of various video formats including MP4, AVI and FLV just to mention a few. Other than Media Converter also supports audio conversions while setting the preferred quality. •	It supports batch conversions. •	You cannot view the progress of the queued files for conversion. There is also a video to MP3 converter and a compressor by Jackie apps. This app allows smooth conversion of multiple files to different formats. •	It supports many video formats. •	The quality of video is lost after converting file. 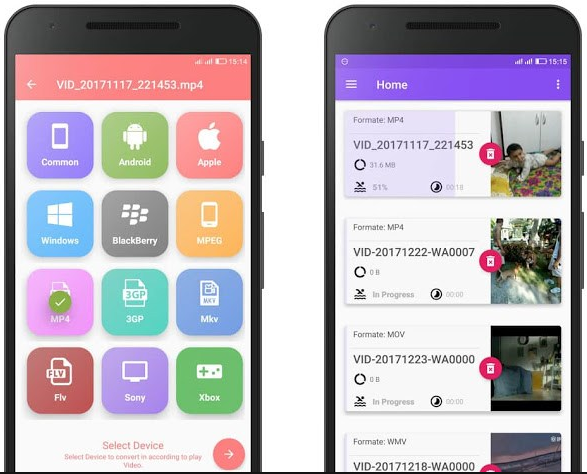 You can also check on Video Converter by VidSoftlab that supports conversion of standard and HD video formats to MP4 format. 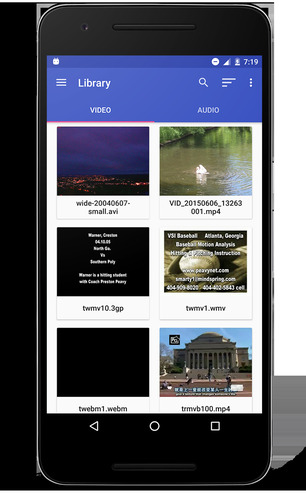 This application is compatible with several video formats as well as over 200 devices. •	It is a video merger and joiner. •	It has high speed conversions. •	It is not free. Total Video Converter also helps you convert your videos to MP4 and many video formats. Before you click on convert button on this app, you can also cut your video. •	It supports many file formats. •	It saves files on SD card. •	It is a bit slow. 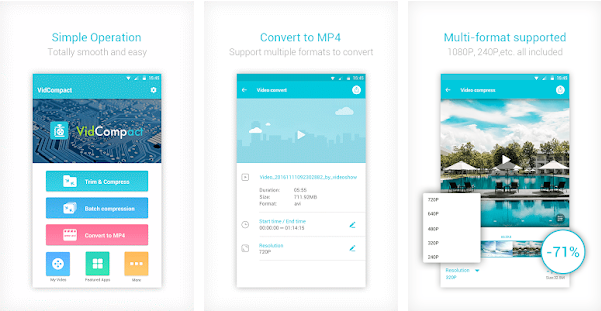 This is another video to MP4 converter that allows you to upload files from your phone storage and convert them. You can also set resolution and trim the videos. •	It supports different video formats. 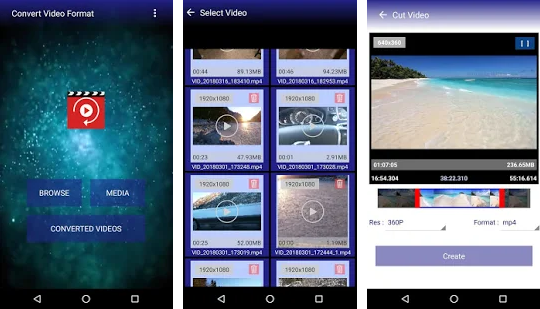 •	It can delete videos from your phone. It is also worth mentioning Total video converter by Golden Heavan that support most video formats and outputs them as MP4 format. •	It is a movie editor and maker. •	It is and HD video player. •	It might crash when on use. 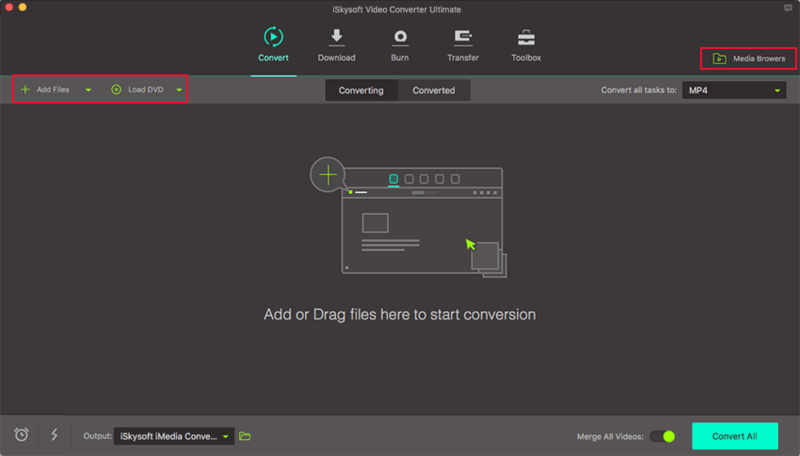 For desktop conversions, you need to use iSkysoft Video Converter Ultimate software that supports media conversion to formats like: video, audio, web and device format. And this software allows you to convert online videos from more than 1000 sharing sites and also record media from these files and save them on your computer. Moreover, it has a media transfer tool that enables you move files between computer and mobile devices. Open the installed software on your computer and click on “Convert” button. Next click on “Add Files” and you will be able to browse videos from your computer and open with the program. Next, click on “Convert All Tasks To” button situated at the top right of the program. A new window will pop up that will allow you choose the preferred output format. Click on “Video,” select “MP4” format and finally choose the output quality. If you want a mobile-friendly format, click on “Device” and select the format compatible with your Android phone. For instance, Samsung or LG and proceed. From there, you can set the destination to save your file by clicking on output folder at the mid-bottom of the screen. Lastly, click on “Convert All” and you will see the program start converting the videos.